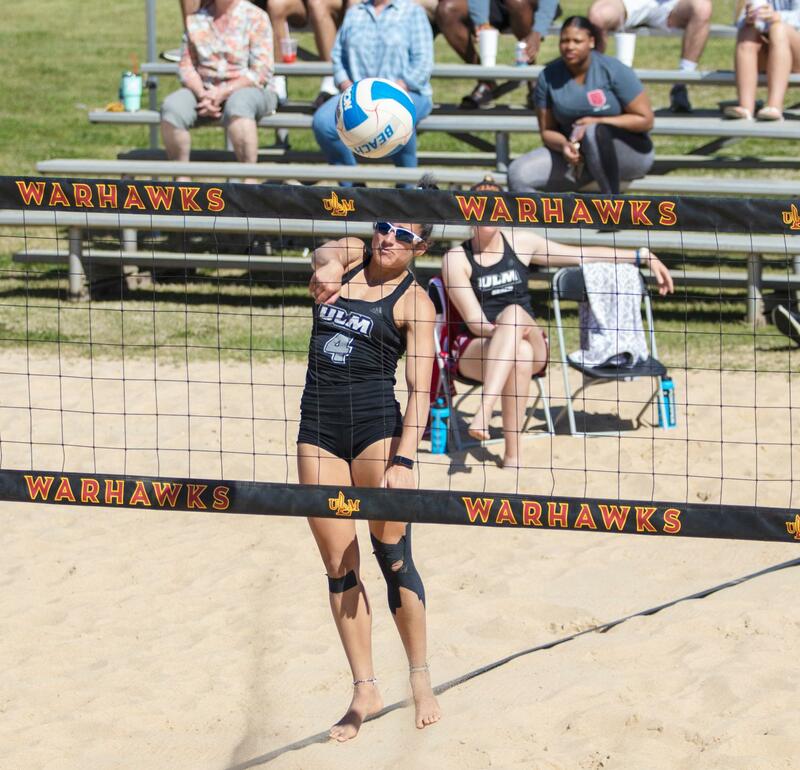 Beach volleyball has issued the challenge-the Warhawk Challenge. The challenge is simple. Come to Monroe and take on a stellar ULM team that has three pairs ranked in the top-five of their respective groups. In the P2 group, Maile Sellers and Catherine Griffith have fought their way into the number two spot on that list. The duo has been extremely effective this year and won the majority of their matches. Tamera Merseli and Kayla Gallant have clinched the third spot in the P3 group while Elizabeth Moreland and Allie Kemp are sitting at number five in the P4 group. Following the success of Bayou Bash, ULM went on the road to Houston for the Houston Baptist tournament. The Warhawks had a decent weekend in the tournament and get to come home for the last time this season. ULM now has a record of 13-11 on the season and shattered expectations after a nine-win season last year. The Warhawks will host Central Arkansas, Houston Baptist, New Orleans and Missouri State over the two-day event. ULM will have their first match at noon on Friday, April 5, against Central Arkansas.